Knot gardens began in England in the 17th century. It is considered a type of garden art that uses dense, woody plants. 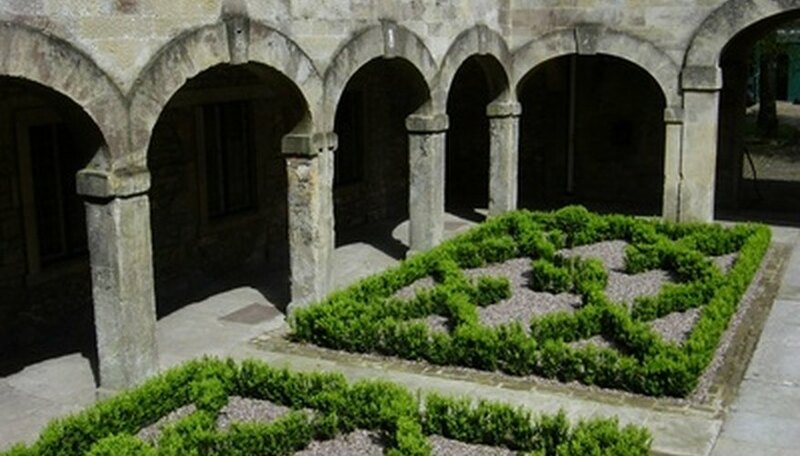 The plants are arranged into decorative geometric patterns laid out to look as if they have been tied into knots, such as ancient Celtic designs. The most common place to construct these knots is in the herb garden. 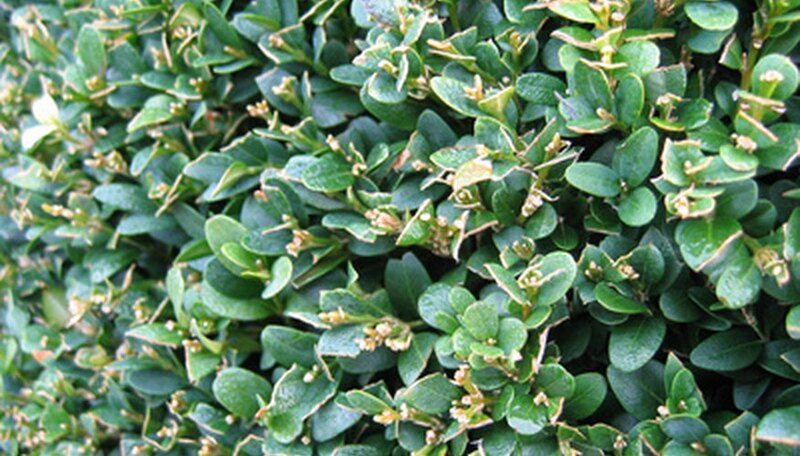 Boxwood is the most common hedge plant used in knot gardens. The tiny leaves provide an evergreen presence in the garden and shear well. Common boxwood (Buxus sempervirens) is used in larger gardens. It can be kept at 5 to 6 feet tall. Full-sized boxwood is suitable for larger properties, in which the knot garden is viewed from upper story windows. For smaller typical knot gardens, dwarf or English boxwood (Buxus sempervirens "Suffruticosa") is used. It can easily be kept from 1 to 3 feet in height. Boxwood is easy to grow and is not picky about soil. Give it average water and full to part sun. Do not overfertilize if you want to keep the plants small. Both forms of boxwood are hardy to USDA zone 5. Wall germander (Teucrium chamaedrys) is an attractive loose knot garden plant. The small, glossy, deep green leaves are borne along the stems. Germander can be kept clipped to 12 inches for a tighter structure, or allowed to grow to a looser 24 inches. The purple flower spikes draw beneficial insects such as bees and butterflies to the garden. The leaves of germander can vary, so select plants that look similar. Plant germander in a sunny location with average soil and water. Wall germander is hardy to USDA zone 5. Lavender cotton (Santolina chamaecyparissus) has light blue-gray foliage. The foliage is lacy looking and creates a nice contrast against the deeper green plants. The species will grow quick and become leggy if not sheared in spring and fall. The dwarf variety (Santolina chamaecyparissus "Nana") is more manageable for herb garden situations. Lavender cotton emits a strong camphor scent. The yellow button-type flowers are not attractive, and are usually kept sheared away. This plant is not related to lavender. It is hardy to USDA zone 5. English lavender (Lavandula angustifolia) is very hardy, which is why it is the best choice for knot garden applications. One popular variety is "Hidcote." It is prized for its dark purple flower spikes. Another good choice is "Munstead," which has typical light purple flower spikes. 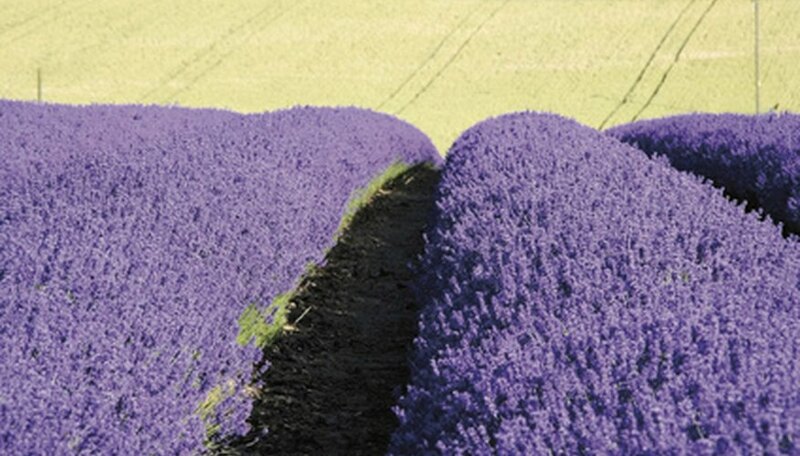 Both lavenders will reach 12 to 18 inches in height. They need to be shaped each year when used in the knot garden. After the flowers are finished for the season, clip each plant to its proper shape and size. This will allow the plant to heal over before cold weather sets in. Full sun and good drainage are what lavenders need. English lavender is hardy to USDA zone 2. True hyssop (Hyssopus officinalis) is a low-growing woody plant. Other plants may be labeled as hyssop, but are herbaceous and die back to the ground. The true hyssop has vivid blue flower spikes in summer. It has tiny linear semi-evergreen leaves that are easy to shear. There is also a white hyssop (Hyssopus officinalis "Alba"). Hyssop is hardy to USDA zone 5. What Are the Flowers Similar to Vinca Minor 'La Grave'? What Shrubs Should Be Used in Shady Areas?